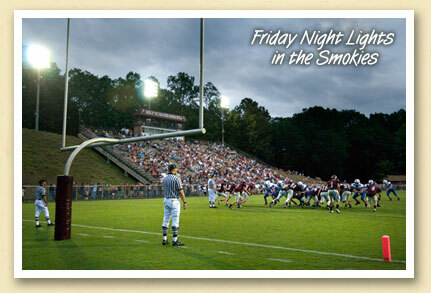 If Bryson City appears deserted on some Friday nights in the Fall, it’s because almost everyone’s attending “the game” at Swain County High School. Having won seven state football championships over the years, the Maroon Devils enjoy a loyal and passionate hometown following. The passion peaked in the late ’80s when the team won three consecutive state championships led by former University of Tennessee and NFL quarterback and current U.S. Rep. Heath Shuler. The team’s most recent state title was in 2004. Want to see what all the fuss is about? Attend one of the Maroon Devils’ remaining home games. Kickoff is at 7:30 pm. Tickets are $5. The stadium is on Fontana Road, just north of town.